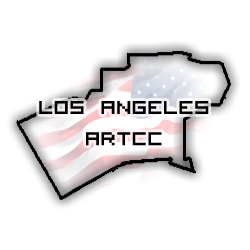 The Los Angeles ARTCC would like to welcome you to the Training Department. As you review the information on this page, you will find the necessary information for your continued enjoyment of being a virtual air traffic controller or pilot with the IVAO Network. Whether you are an experienced ATC/Pilot or just getting started, you will find the members of IVAO to be very helpful and dedicated to improve your online virtual experience. Here at KZLA, we strive to improve our members knowledge and abilities in the areas of ATC and Pilot performance. As you progress in the ratings of IVAO, you will find continued enjoyment with your virtual flying experiences. The two links shown on the upper left will give you the basic information about ProController (ATC) and Squawk Box (Pilot). Please take the time to review this information which will make it easier as you first get started with your virtual aviation experience on the IVAO Network. - Airport name and station ID, then the identification letter (phonetic name of the letter,such as BRAVO} and time (UTC). - Wind dir and speed and altimeter. If there are any special weather considerations, it should be noted here as well. (no need to copy full METAR into ATIS, pilots have it from ACARS). - Controller Information/Specific instructions (if any, like speed restrictions or specific noise abatement procedures). I prefer to capatalize my ATIS to make it easier for the pilots to read as it scrolls across the screen. This is not a requirement, but it is recommended. When controllers sign on, they should sign on as observers to begin with. This is so they can survey the situation to find out what stations are available. Once you are logged on, use the command .atis for each of the manned stations. Note the letters of the active controllers ATIS and set your ATIS at the next highest letter in the seiries. Set up your ATIS and frequency for the position you intend to man. Log off and log back in at that station and then send a chat to each of the active controllers to let them know you are available for handoffs. You should also use the ATC channel to announce that you are on line with the zulu time of your sign on. The Atis shall be updated every hour and when updated the "Alpha" would be changed to "Bravo" and so forth as time goes on. Also as Ground Controller you do not set the runways for takeoff or landing, that is Tower's Job, so you would coordinate with them for the active runways. 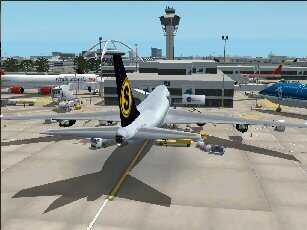 First you need to obtain the ground chart for Los Angeles International so you know the taxi ways and holding points as well as the terminals. REMEMBER, the Runways are the only part of the ground that does not belong to you. If you are having a jet taxi and needs to cross a runway, the Jet MUST contact tower to do so. Also a jet must not Taxi faster than 25 knots unless he is in the high speed taxi way (usually the closest taxi way to the runway. ), then he is authorized to taxi up to 50 knots. Once the jet is holding short at the runway for takeoff, you the would handoff the Jet to the tower controller. You do this by right clicking on the jet you wish to handoff, select aircraft ant then select handoff request, then you select the position you would like to handoff to,in this case the tower position. When a jet lands, and departs the active runway, the tower controller will handoff the aircraft to you, the gorund controller so that you can taxi him to his gate. As with Ground, you update your Atis once an hour and you change the Alpha, to Bravo and so forth. You pick your runways by the weather. As the example above we picked 25L and 24R because the winds are at 238. If they were at 080 we would pick the oposite side. Another thing to remember is that the Short runways are for landing and the longer runways are for departures, for the simple reason, the longer runway allows the aircraft to reach takeoff speed before reaching the end of the runway. As the Tower controller, you are Resposible for the jet while it is on takeoff and landing up to 10nm out from the airport. Ground will handoff the jet to you when it is holding short of the active runway, and you will hand off the jet to ground when it exits the active runway. You as the tower controller must give a jet permission to cross a runway, ground may not do so. Once the jet is holding short at the active runway, and it is clear for him or her to takeoff, you tell the pilot to line up and hold. Once he is lined up and holding and it is clear for takeoff, you give the jet clearance to takeoff as follows. Dal123 clear for takeoff rwy 25L winds 220 at 14. alt 2998.The pilot will readback, rgr clear for takeoff, winds and alt copied. Once the jet goes airborne, you then would handoff the jet to the Aproach control,( Departure if manned). You will do this the same way as ground hands off the jet, except you would hand off to the approach or departure controller. The approach controller will then handoff an aircraft to you when the jet is on final approach, somewhere close to 10 nm out from the airport. Once the aircraft is handed off to you, you will then clear the aircraft to land, here is an example. Dal123 clear to land rwy 25L winds 220 at 11 atlimeter 3014. The pilot will readback, clear to land rwy 25L winds and altimeter copied. Once the aircraft is on the ground, you will have the pilot exit the runway and handoff to the ground controller. NOTE: If the runway is fouled, or not safe to land, you would have the pilot excecute a missed approach and hand the jet back to the approach or departure controller so they can bring them back around. and many more airports that service general aviation. SOCAL's airspace covers an area from 20 miles north of Burbank to the US/Mexican border and from San Bernardino to Santa Catalina Island. KZLA LOS ANGELES (ARTCC) PALMDALE, CA. Sectorfile: The use of the official San Juan CTR Sectorfile is recommend, but not compulsory. Approach: The Approach Control is provided by Juliana Approach or if offline by TJZS_CTR. For procedural control only a VOR approach is available. So the preferred way is to give vectors for visual. Therefore you should vector the inbound Aircrafts on a 15nm final at 3000ft on rwy hdg (095), and let them "report when airfield in sight". If they still dont have it sin sight on a 8nm final, give them a descend to 2000ft, to bring them under the ceiling. As soon as they report the field in sight, you should clear them for the Visual Approach. VFR: VFR shall be handled as normal. In Princess Juliana only right hand traffic patterns should be assigned.